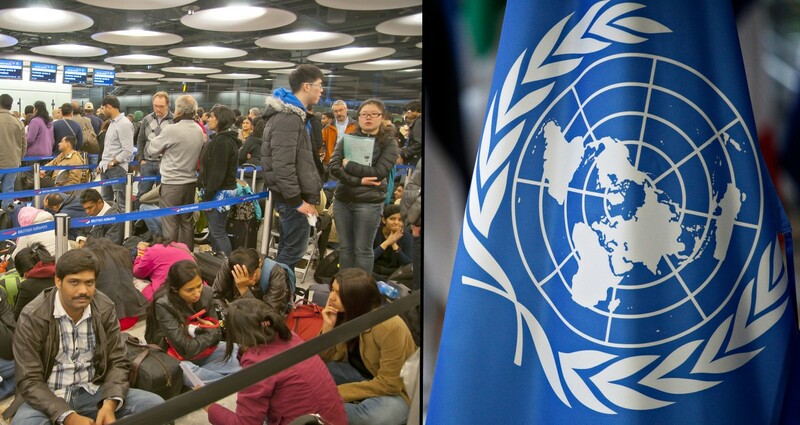 Airport chaos as UN orders everyone on Earth to "go back where you came from"
At a press conference on Friday, a UN spokesperson declared that everyone on Earth has 72 hours to “get the hell back to where you’re supposed to be, or else.” The statement has sent the majority of the world’s 7.2 billion people scrambling to ancestry.com to work out where they’re actually from. According to the UN, recent events have shown that re-segregating people back into strict racial groups and banning all cross-cultural interaction is the only way for humanity to get along. “Why did we ever think people would learn to look beyond their skin-deep differences, connect on a deeper human level, and realise that we’re all just human beings with complex intellectual and emotional lives? That’s insane! It’s much easier to classify people according to their physical features, build walls between every country, and permanently ban all international travel and trade. Since the degree, airports all around the world have been flooded by millions of distressed passengers. Most of them are white people looking for last-minute flights to the UK or Ireland. The Tragic Traveller spoke to several confused people who weren’t sure what to do next. While the world panicked, The Tragic Traveller spoke to an Indigenous Australian elder who seemed much calmer. At press time, Australian Senator Fraser Anning was seen scurrying into a hole believed to lead directly to Hell.